I have been thinking about trying to learn how to play for a little while now. I finally broke down and bought a cheap fiddle at my local music shop. I tried learning guitar but I found that it hurt my knuckles too much to play long enough for a real practice session. I taught myself how to play a couple songs on the piano at one point but have since forgotten everything. My wife is currently learning how to play guitar and is progressing nicely. She can play the piano as well. She will probably try to steal my violin when she gets off of work tonight. You can always share one violin. You can't play around the clock. Welcome aboard, and above all, enjoy the journey ! She will probably try to steal my violin when she gets off of work tonight. One can use their left hand on the neck while the other does the bowing. ... She will probably try to steal my violin when she gets off of work tonight. Nice one! Competition is a good motivation! 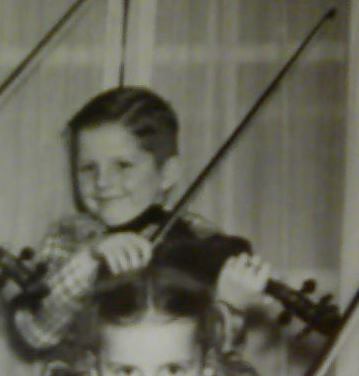 Happy fiddling and welcome to the forum!